China Type-C Hub manufacturer, USB 3.1 Full Series Cables, Mobile Phone Accessories supplier - Studio Technology Co., Ltd. Mobile Phone Accessories, Wireless Charger manufacturer / supplier in China, offering Magnetic Charging & Date Cable&Mobile Phone Charger Cable Cell Phone Charging Magnetic USB Cable, Magnetic Charging / Date Cable&Mobile Phone Charger Cable Cell Phone Charging Magnetic USB Cable, Magnetic Charging Cable&Mobile Phone Charger Cable Cell Phone Charging Magnetic USB Cable and so on. 1080P USB3.1 Type C to VGA Cable Adapter with LED Status Indicator Indicator for Notebook. 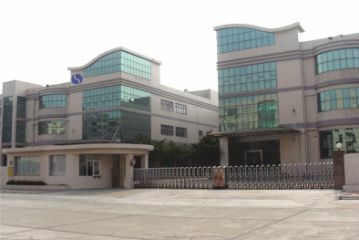 Studio Technology Co., Ltd founded in 1998, headquartered in Taiwan, factories in China mainland. We have been a professional PC and Mobile Phone peripheral manufacture with all kinds of A/V products: USB-C HUB, Wireless Charging, A/V switches, A/V Cables (USB 3.1 full series cables, Display Port cables and adapters, Mobile phone accessories); Mainly providers OEM &ODM services.